More news is coming from Fantasia Bunko Big Thanks Festival 2016. 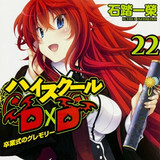 It is also confirmed a new TV anime series based on Ichiei Ishibumi's High School DxD action fantasy light novel series is in the works. Hit the jump for more details. 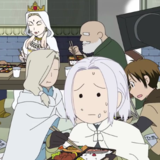 A sneak peek video for the latest episode of "Short Comedy of Arslan," which will be included in the upcoming 2nd DVD/Blu-ray volume of the TV anime The Heroic Legend of Arslan, is now online. It features Gieve, who is a traveling musician in the original story, as a hard rock artist playing in concert. Check the clip after the jump. Five-member Japanese band Passepied has posted a 40-second teaser video for their upcoming 5th major single "Ura no Ura" (Behind the Behind). 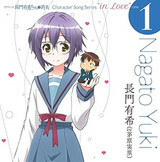 It has been featured as the 2nd OP song for the Kyoukai no Rinne/Rin-ne TV anime since its 14th episode aired on July 4. Check the clip after the jump. As reported, the first press limited edition of the DVD/Blu-ray discs of the ongoing TV anime The Heroic Legend of Arslan contain four-panel manga (one for one anime episode) by Hiromu Arakawa and short anime series based on them. 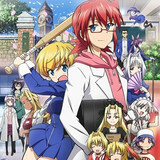 Check a sneak peak of the comedy anime shorts after the jump. 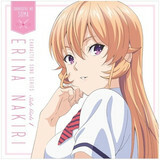 Avex has posted a preview video for "la fleur noble" sung by Risa Taneda as Erina Nakiri, the first character song from the ongoing cooking-themed TV anime Food Wars! Shokugeki no Soma. Check the video and CD jacket illustrations for the first three after the jump. 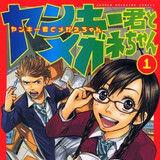 The official website for the ongoing TV anime adaptation of Takeshi Azuma's school comedy manga Denpa Kyoushi has announced ten additional voice cast. It has been aired on Yomiuri TV, Nihon TV, and their affiliates since April 4. Check the VA list after the jump. The official website for the ongoing TV anime The Heroic Legend of Arslan today announced the theme song artists for its second cour. 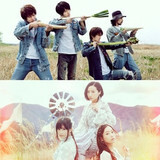 NICO Touches the Walls plays the new OP song "Uzu to Uzu" (A Vortex and A Vortex), while Kalafina performs the New ED "One Light." Check the latest information after the jump. VIDEO: Voice Actress Aya Uchida Cosplays as "Kogal" for TV Anime "Re-Kan!" 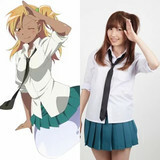 Tokuma Japan has posted a 40-second video to introduce 28-year-old voice actress Aya Uchida's cosplay as Kogal-rei (Kogal Spirit), her character in the ongoing TV anime adaptation of Hinako Seta's four-panel comedy manga Re-Kan!. Check her visual after the jump. 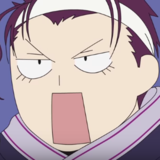 The official YouTube channel for the ongoing TV anime adaptation of Miki Yoshikawa's comedy manga Yamada-kun and the Seven Witches has posted a new promotional video compiling the kiss scenes in the show. Check the clip after the jump! 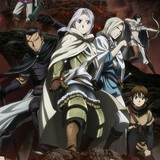 Kosuke Toriumi, Wataru Hatano, Manami Numakura, Yumi Uchiyama to Join "The Heroic Legend of Arslan"
The official website for the ongoing TV anime based on Hiromu Arakawa's manga adaptation of Yoshiki Tanaka's fantasy novel series The Heroic Legend of Arslan has announced the voice cast for the four characters who will join the second half of the TV anime story. Hit the jump for the latest information. The main voice cast of the Yankee-kun side for the upcoming collaboration anime between Yamada-kun and the Seven Witches and Yankee-kun to Megane-chan, both are created by Miki Yoshikawa, are announced today. Check the latest information after the jump. 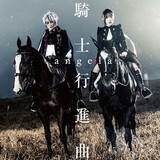 To promote their 7th album "One Way" just released today in Japan, two-member unit angela has posted a full music video for their 24th single "Kishi Koushinkyoku" (Knight's March) on their official YouTube channel. It is now used as the OP song for Knights of Sidonia: Battle for Planet Nine. Check the clip after the jump. 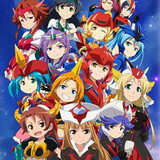 The official website for Robot Girls Z Plus, the upcoming sequel of the nine-episode series Robot Girls Z in 2014, has announced two additional voice cast, Minami Takahashi as Bong and Manami Maeda as Gurangen, with rough designs of the characters. Check the latest information after the jump. 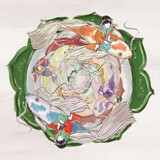 Pony Canyon will be releasing four character song mini albums inspired by the ongoing TV anime Etotama, starting with the first one performed by Nyaa-tan (Rie Murakawa), Moo-tan (Eriko Matsui) and Piyo-tan (Mikoi Sasaki), to be released tomorrow on May 20 in Japan. Check the previews for the first two after the jump.